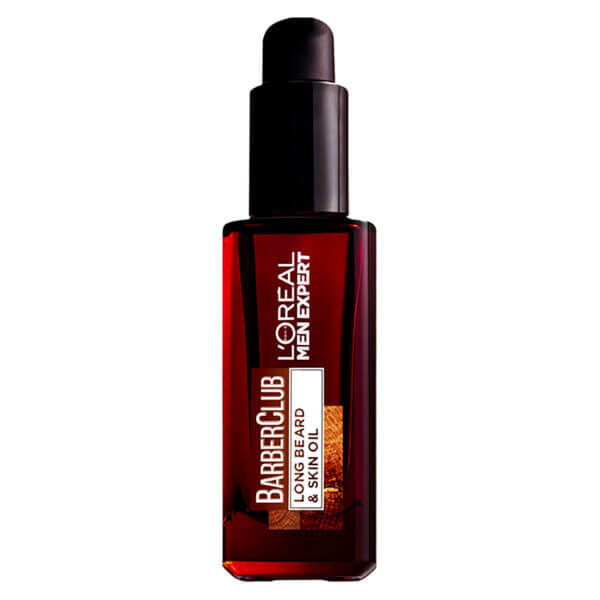 Treat your hard-earned beard to the nourishing properties of L’Oréal Paris Men Expert Barber Club Beard Oil, a caring formula made from 88% natural ingredients. 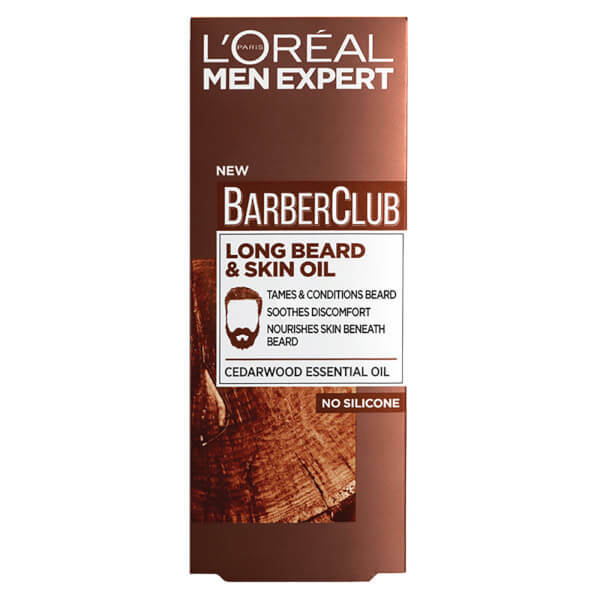 Part of the brand's grooming range inspired by expert barbers, the beard oil has been formulated to maintain medium to long length beards and skin. Powered by Cedarwood essential oil, the conditioning formula helps to tame and soften beard hair while respecting and nourishing skin beneath. 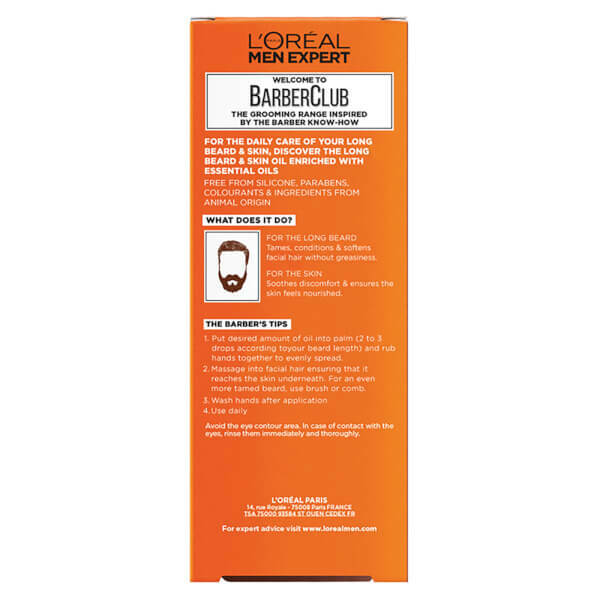 Non-greasy, the grooming solution will leave your facial hair looking perfectly preened and skin feeling soft and soothed. 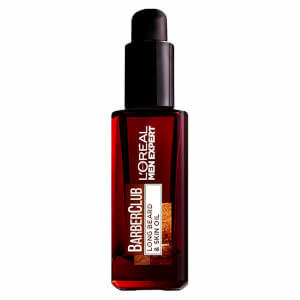 Free from parabens, colourants and ingredients from animal origin. Put desired amount of oil into palm (2 to 3 drops according to your beard length) and rub hands together to evenly spread. Massage into facial hair ensuring it reaches the skin underneath. For an even more tamed beard, use brush or comb. Wash hands after application. Use every morning. Avoid the eye contour area. 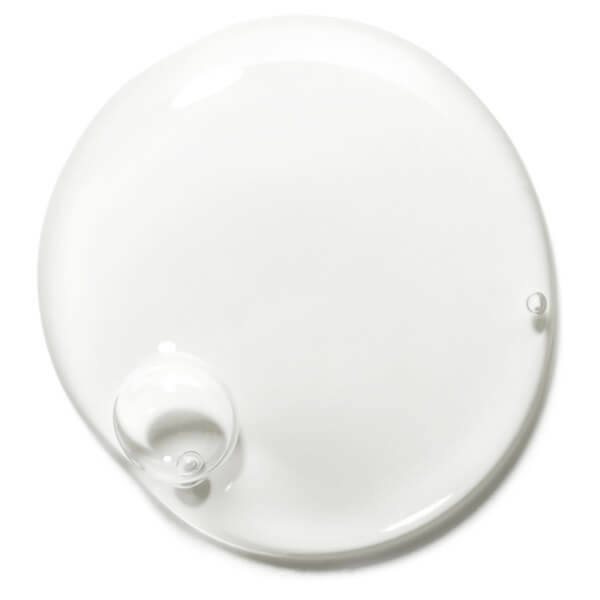 Isopropyl Palmitate, Caprylic/Capric Triglyceride, Polybutene, Alcohol Denat., Parfum / Fragrance, Caprylyl Glycol, Benzyl Salicylate, Pentaerythrityl Tetra-Di-T-Butyl Hydroxyhydrocinnamate, Butyrospermum Parkii Butter / Shea Butter, Benzyl Alcohol, Limonene, Coumarin, Alpha-Isomethyl Ionone, Cedrus Atlantica Bark Oil, Linalool, Eugenol, Cinnamal, Eucalyptus Globulus Leaf Oil, Fusanus Spicatus Wood Oil, Citronellol, Tocopherol, Citric Acid.